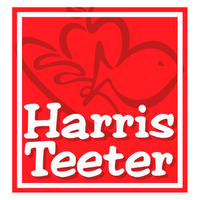 Harris Teeter will be tripling coupon's up to .99 cents and 20 coupons per customer per day. Lipton Tea Bags (16 ct.): 1.29 - .50q (1.50) = FREE! Bumble Bee Tuna Packet: 1.39 - .55q (1.65) = FREE! Colgate toothpaste: 2.17 - .75q (2.25) = FREE! Always pantiliners: 1.29- .50q (1.50) = FREE! Kotex pantiliners: 1.29 - .75q (2.25) = FREE! Mentos Gum: 1.49 - .55q (1.65) = FREE! GDA buy 3 lysol products and get $3 back. The rebate says different so I am not sure if this means you could get one toilet cleaner with bleach and one without, etc, etc…that would technically be a different product.